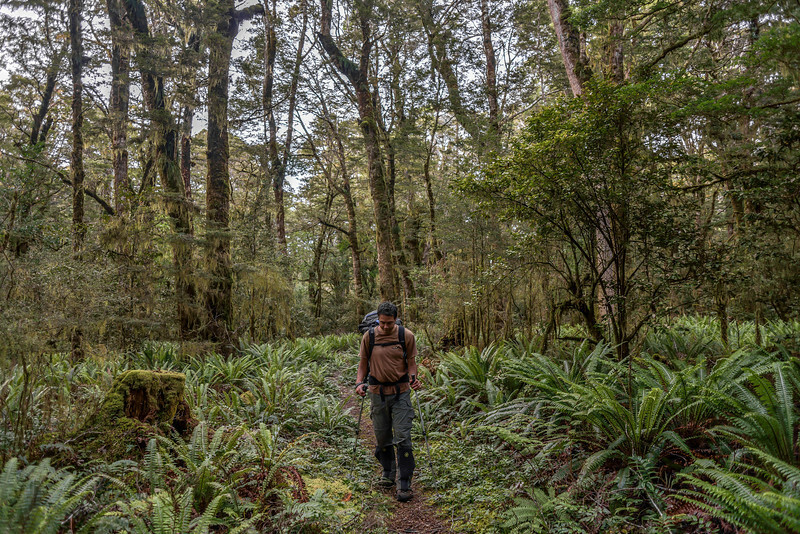 A pleasant Easter tramp in the Borland area, repeating a route I did back in 2002 with Mike Ketchen - in a weekend! 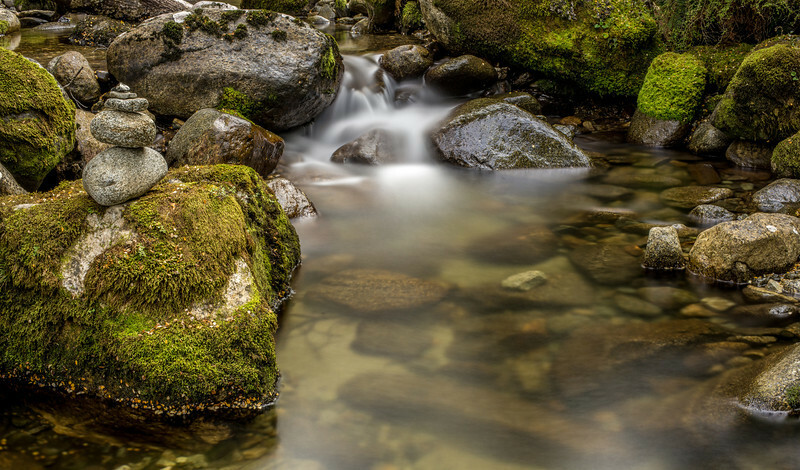 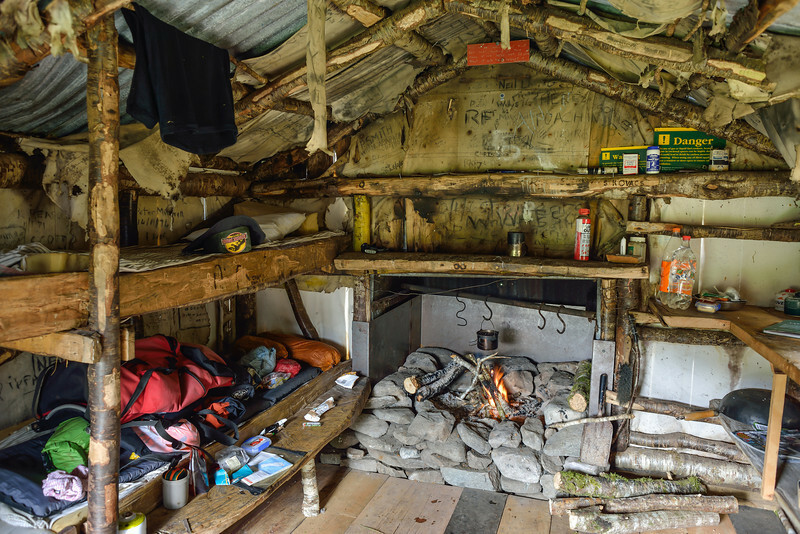 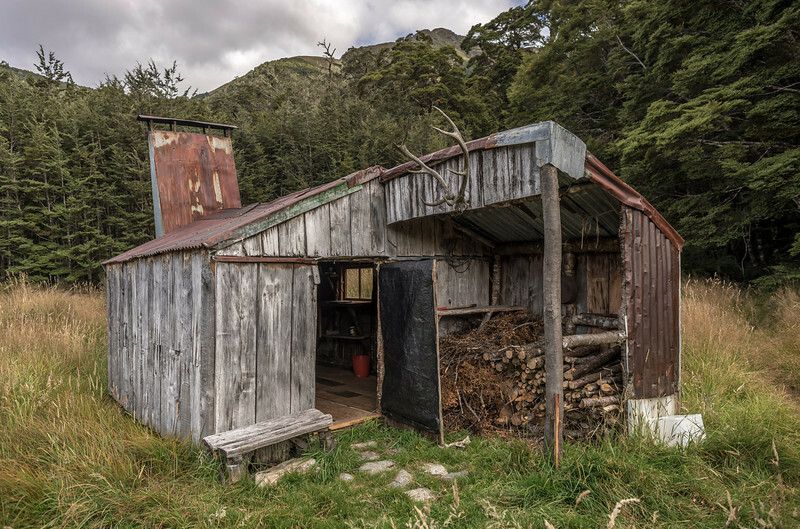 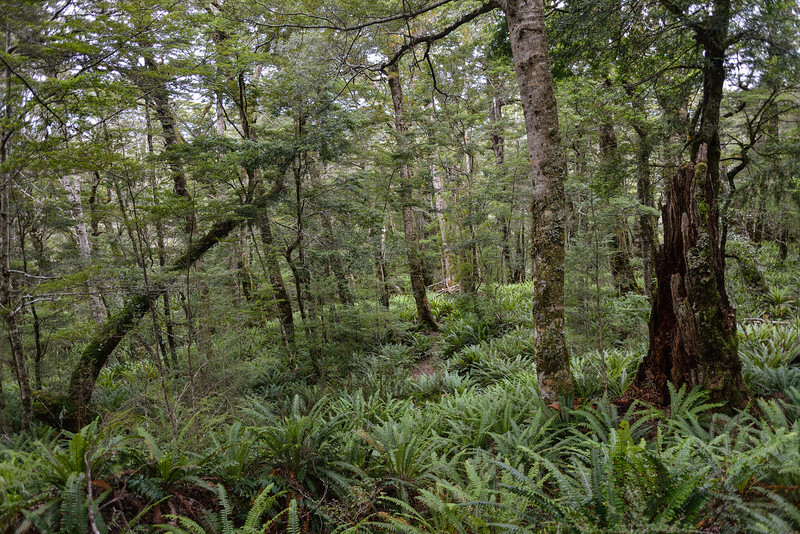 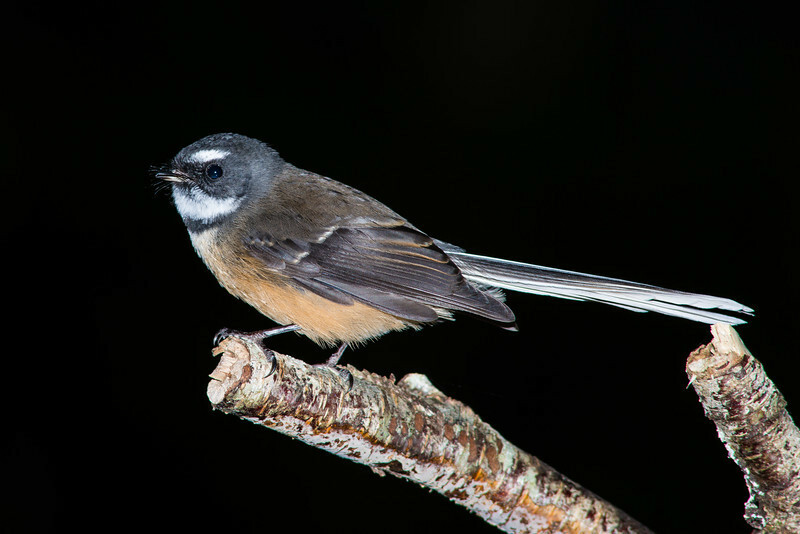 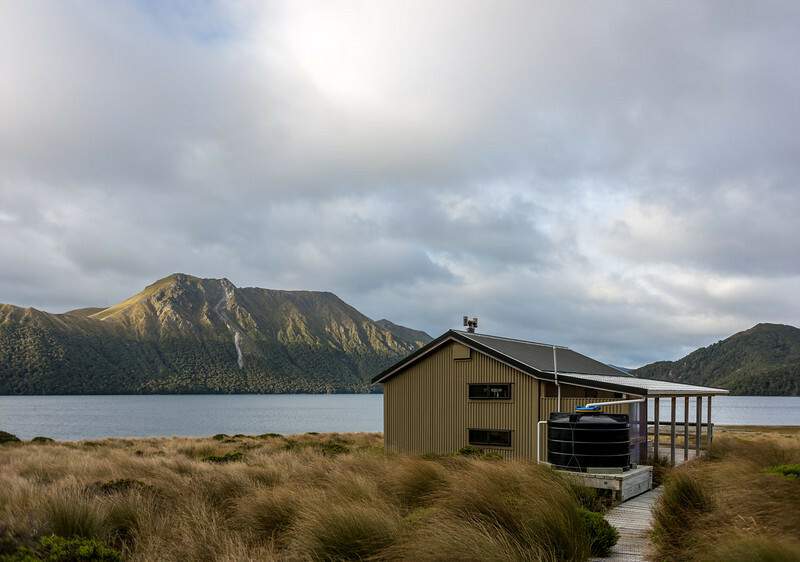 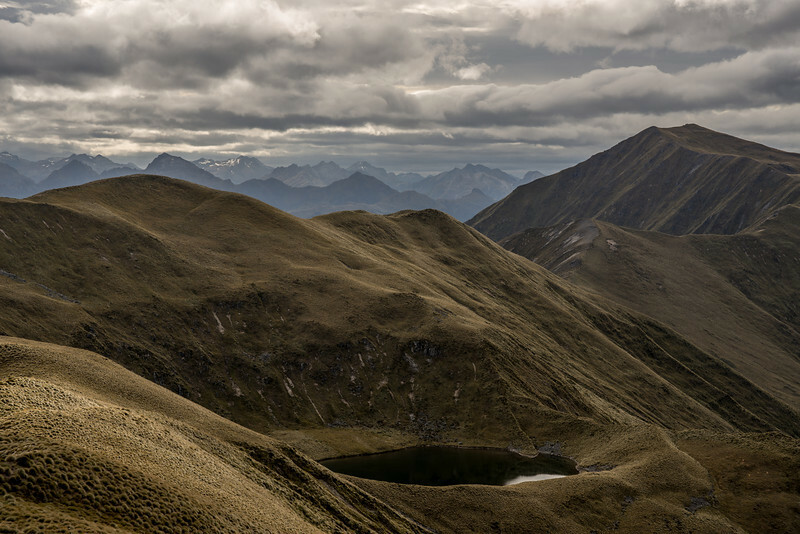 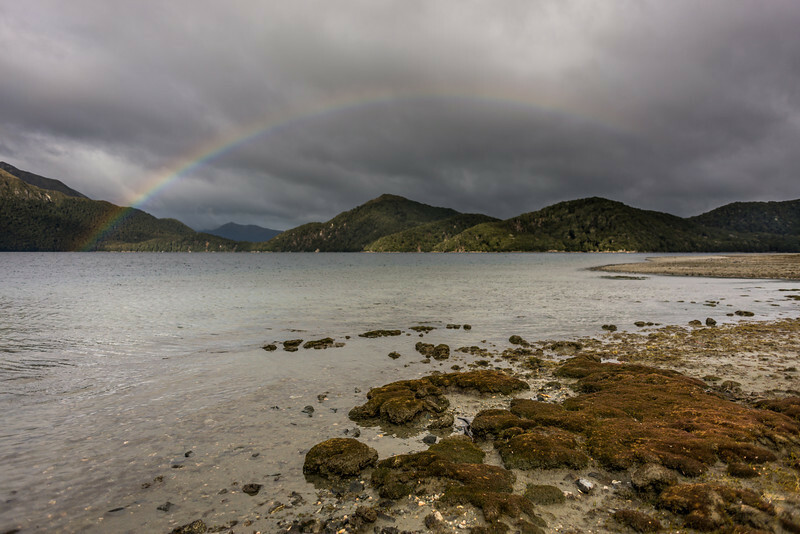 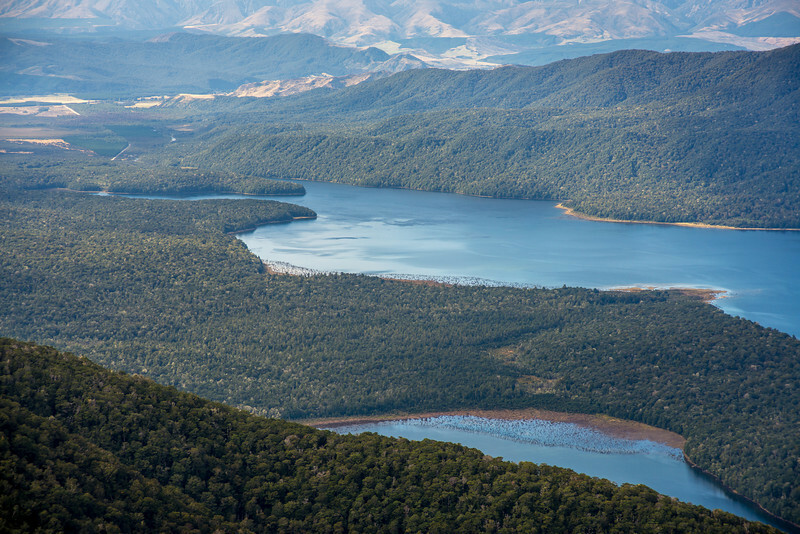 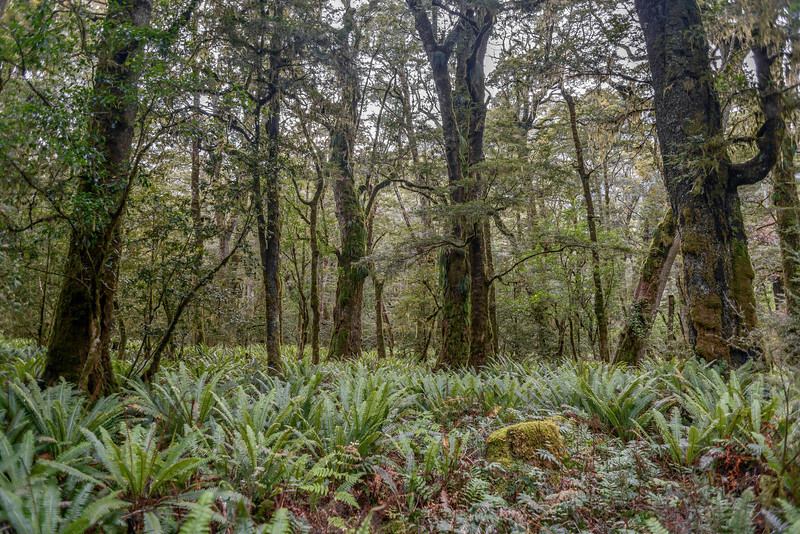 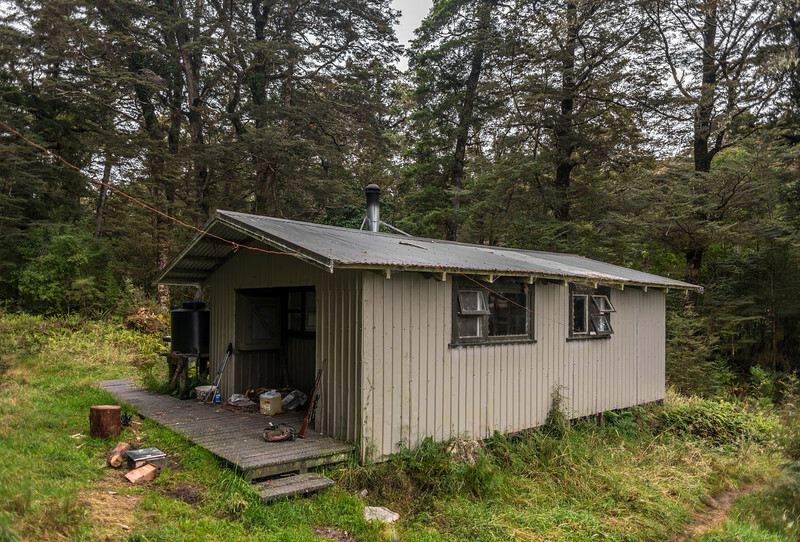 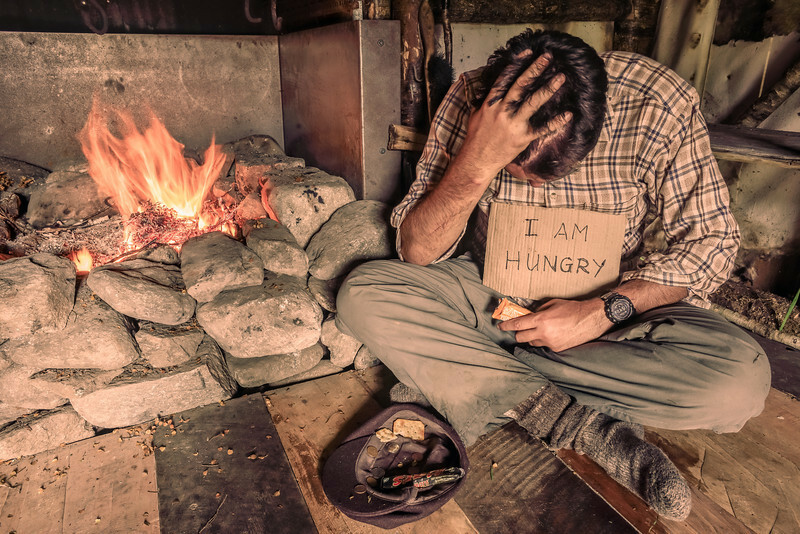 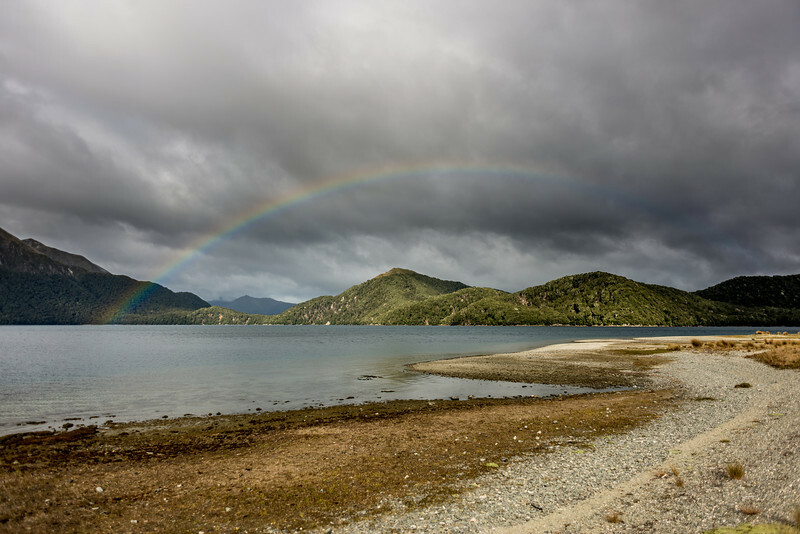 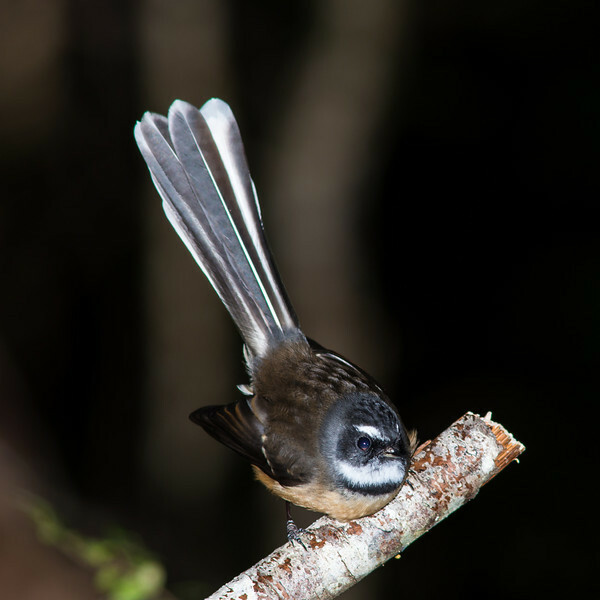 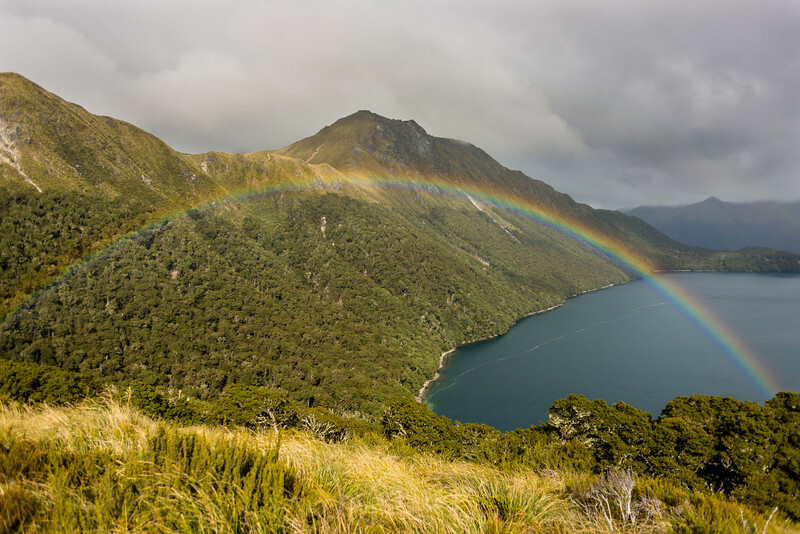 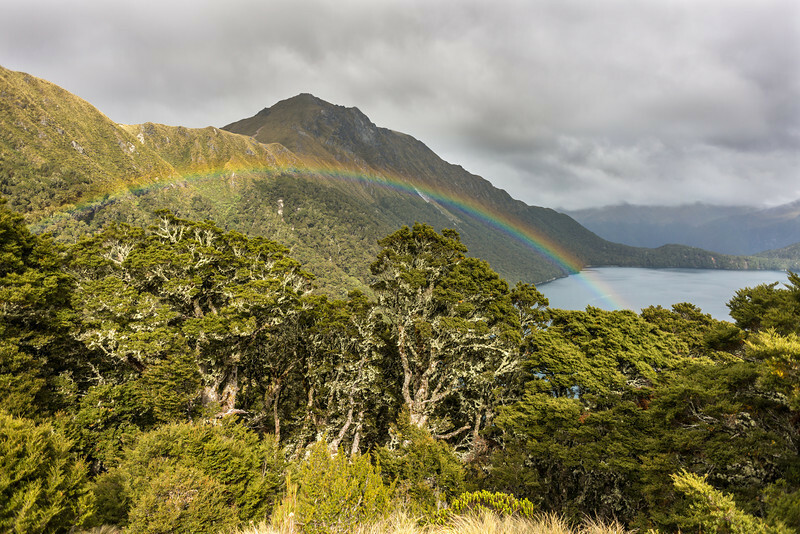 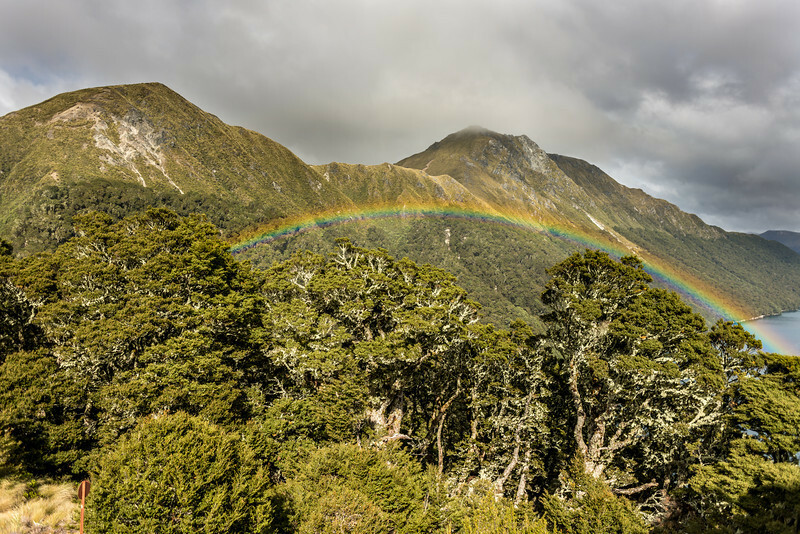 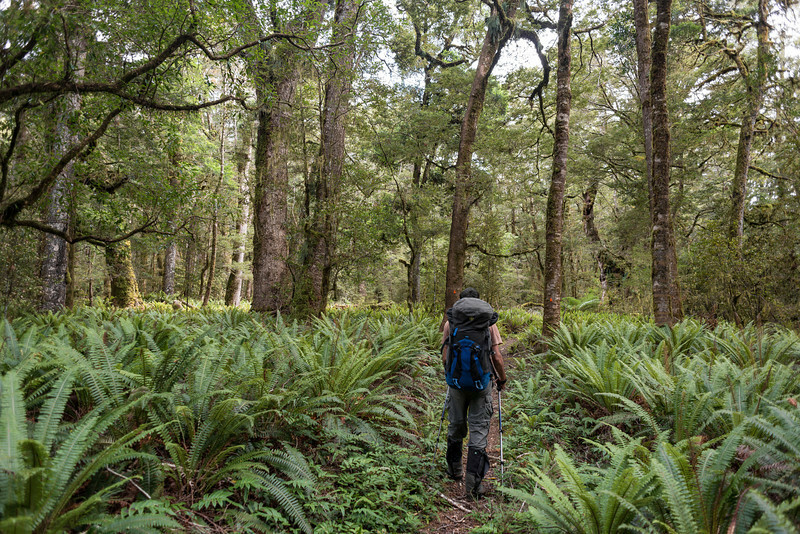 On Day 1 I walked from the Lake Monowai car park to Rodger Inlet Hut. 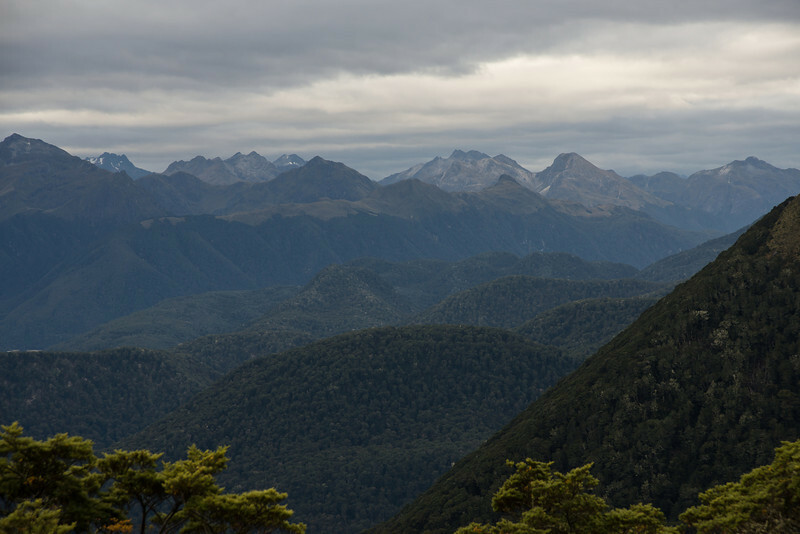 The next day I followed the track to the tops, then descended a good spur to Rough Point. 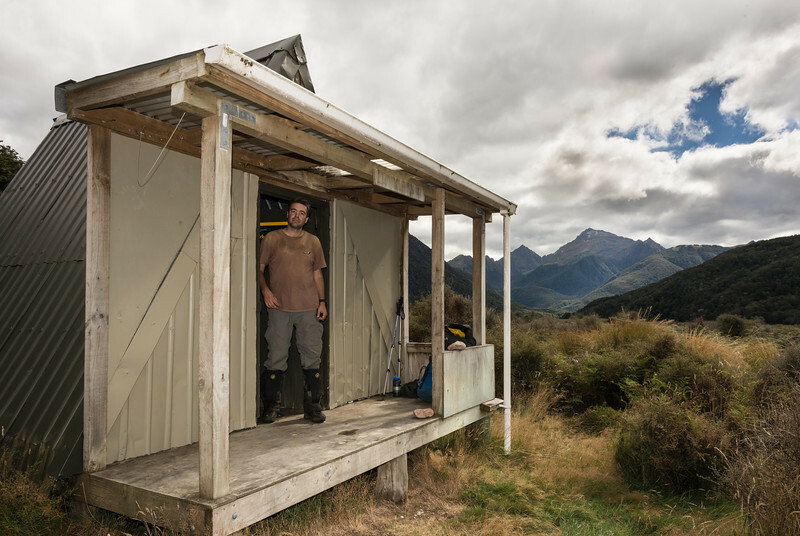 This time around I was able to avoid the unpleasant bush sidle to Monowai Hut by hitching a ride with some nice folks from Te Anau and Invercargill - thanks! 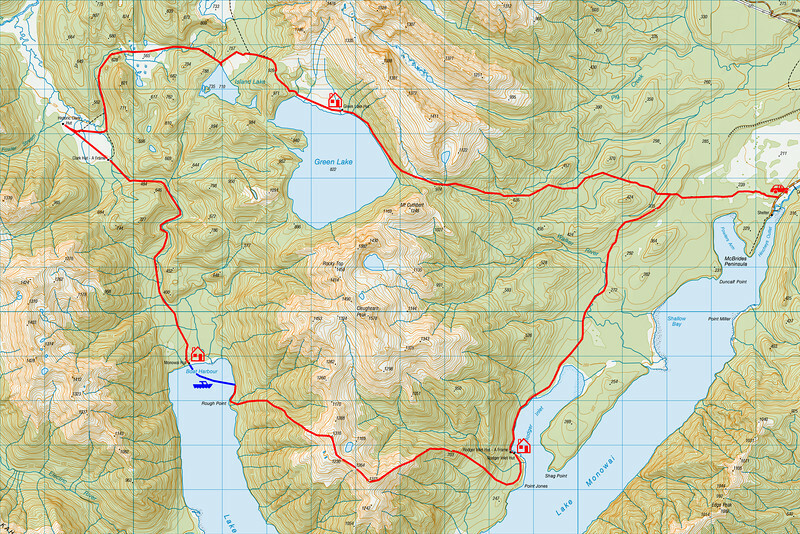 On Day 3 I walked to Clark Hut, visited the historic Clark Hut, then on past Island Lake to Green Lake. 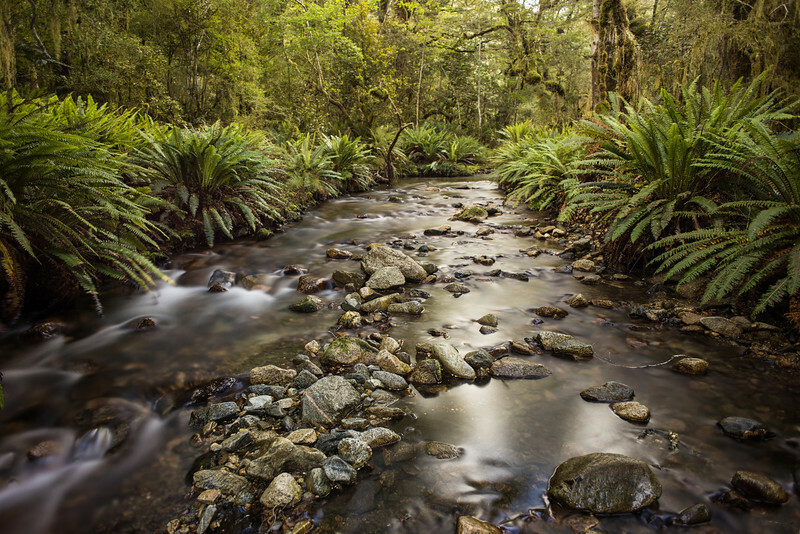 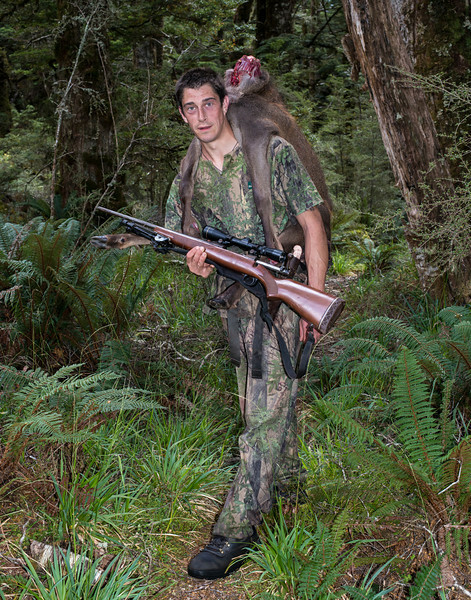 Day 4 - photography in the bush, without any particular destination. 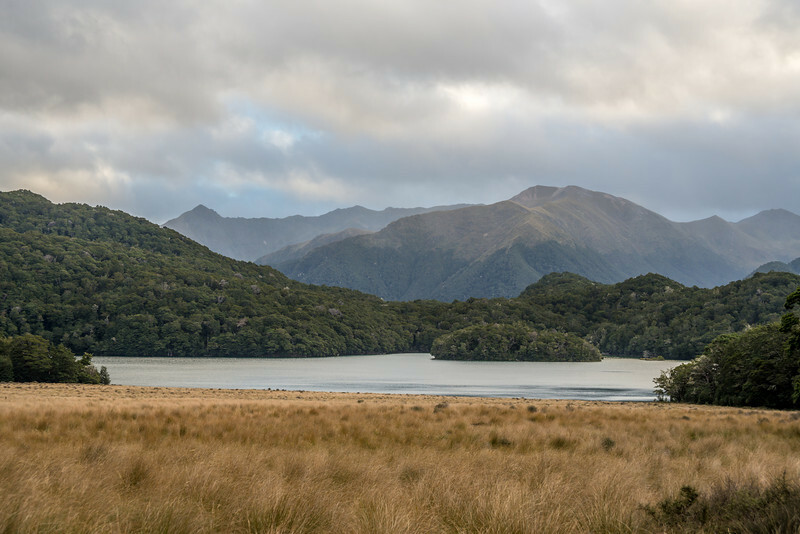 Day 5 - out from Green Lake Hut to Lake Monowai car park. 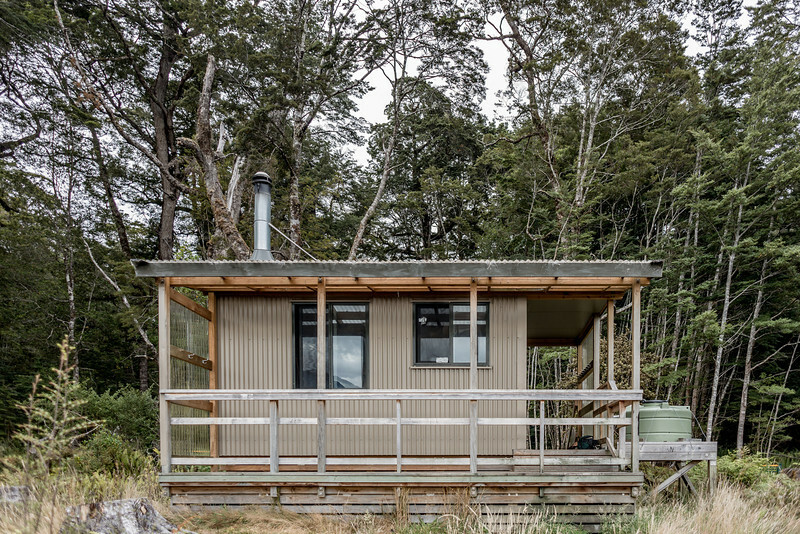 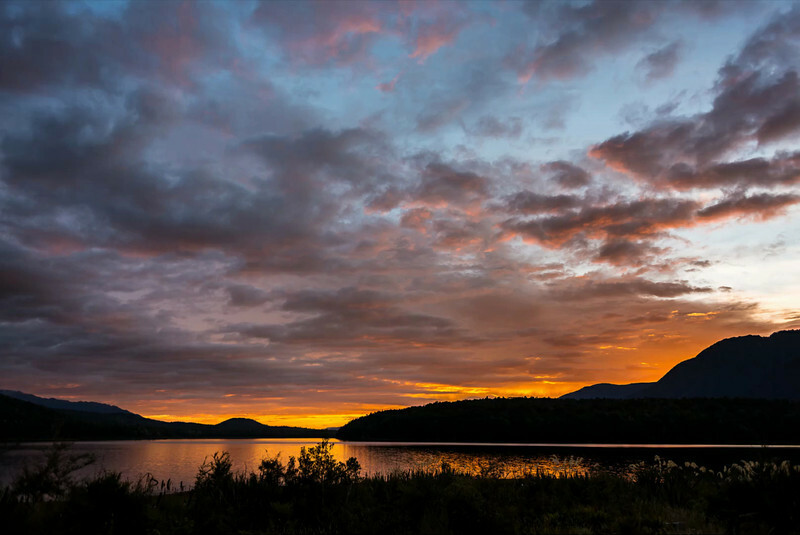 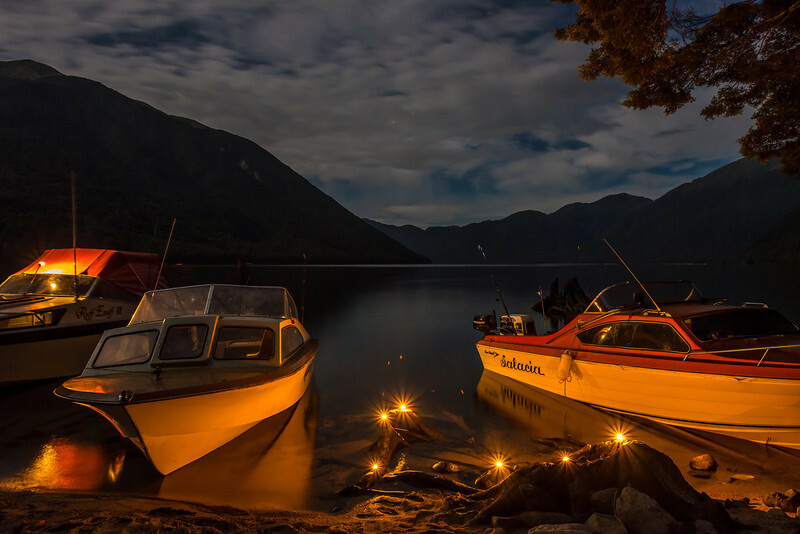 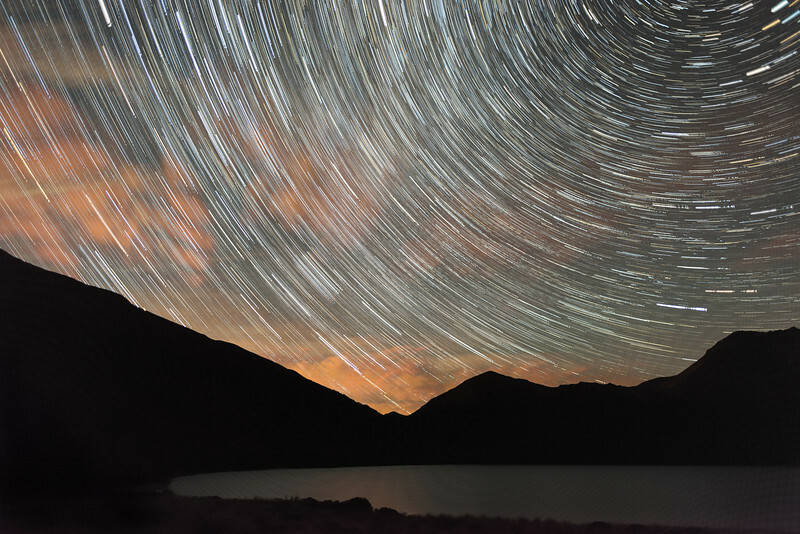 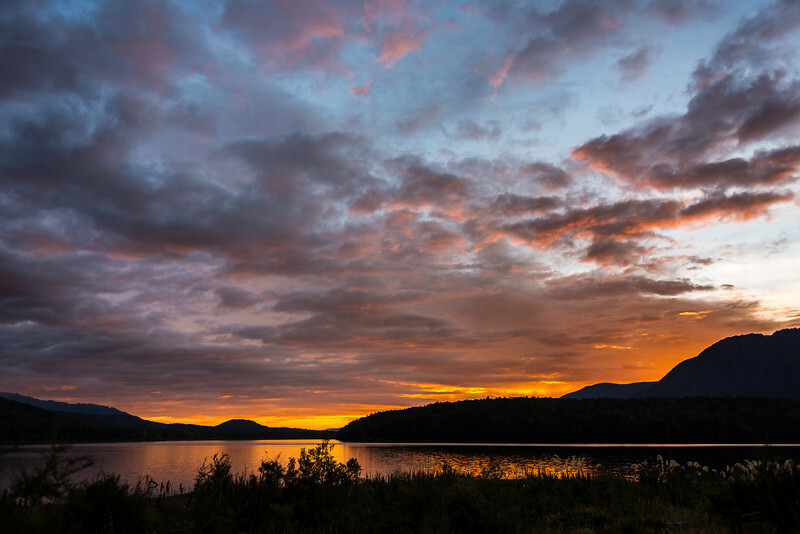 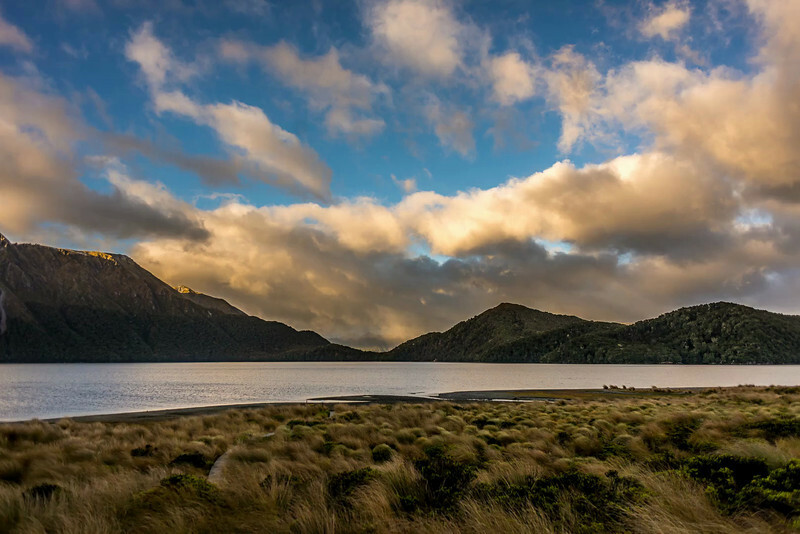 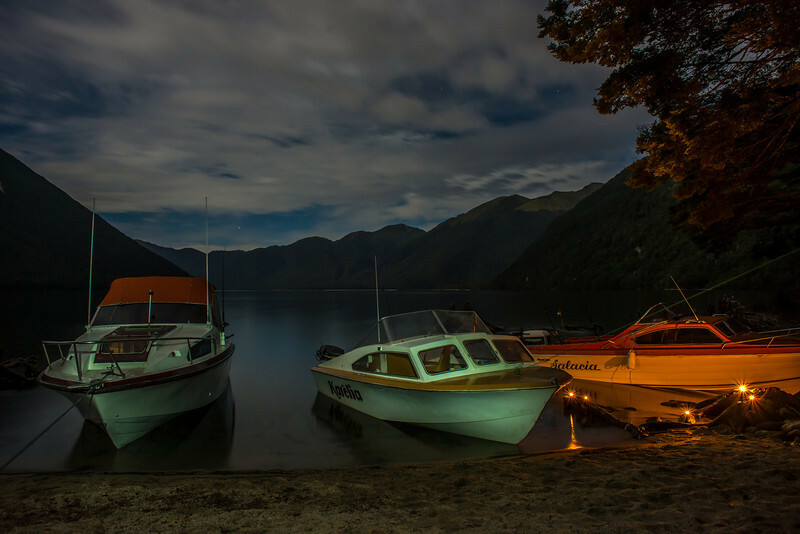 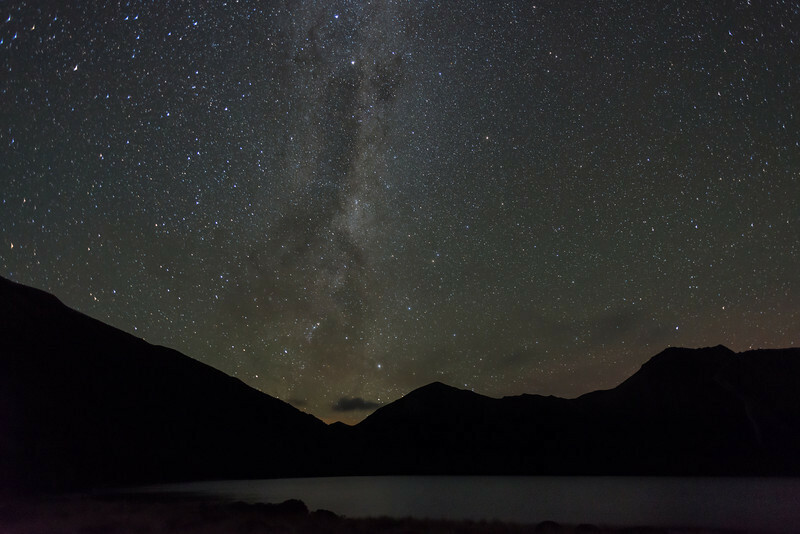 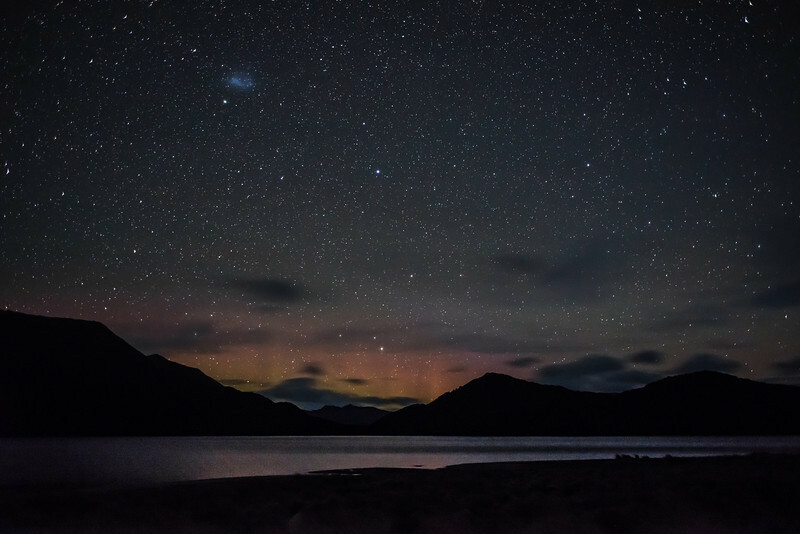 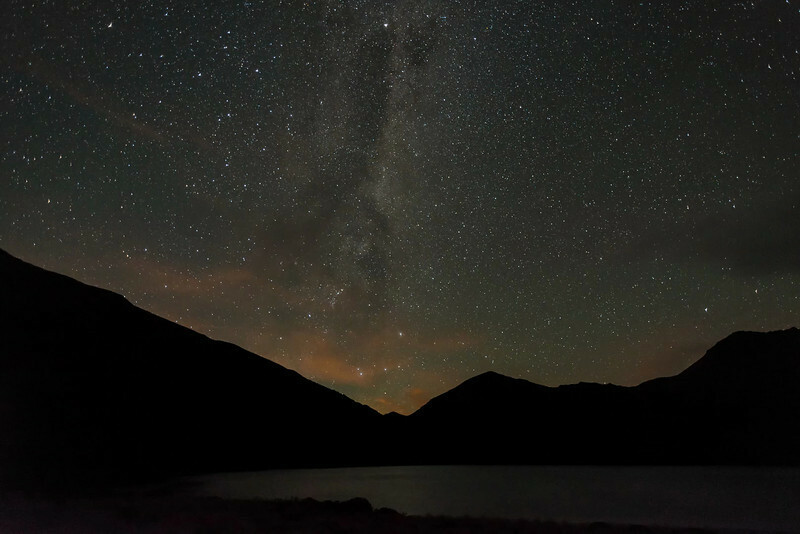 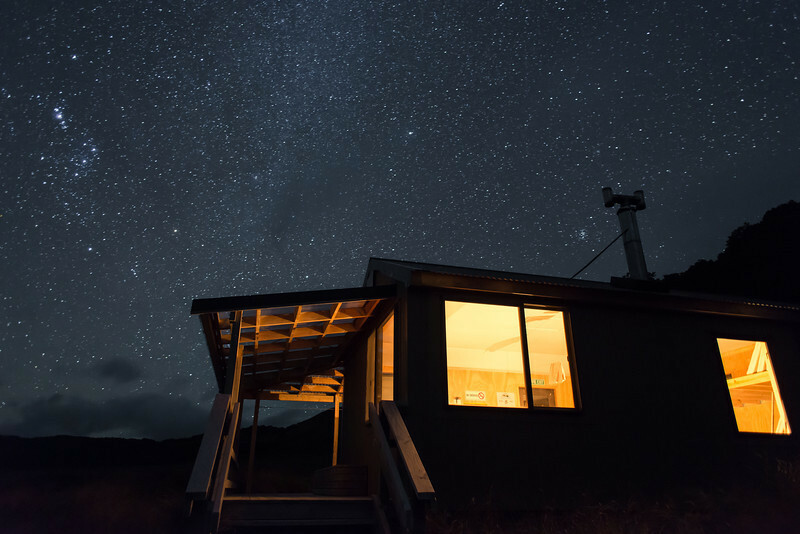 Time lapse - Sunrise at Rodger Inlet Hut, Lake Monowai. 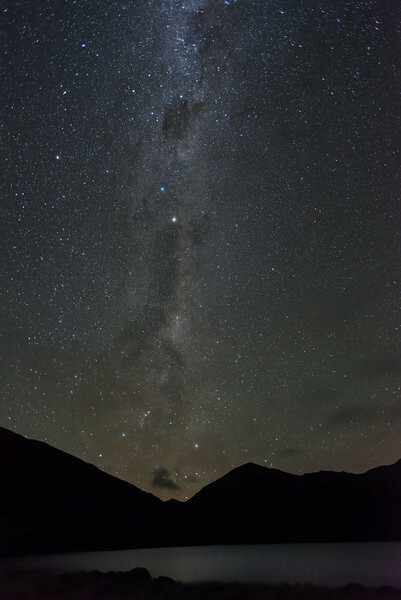 The dark spots that randomly appear in the image are sandflies! 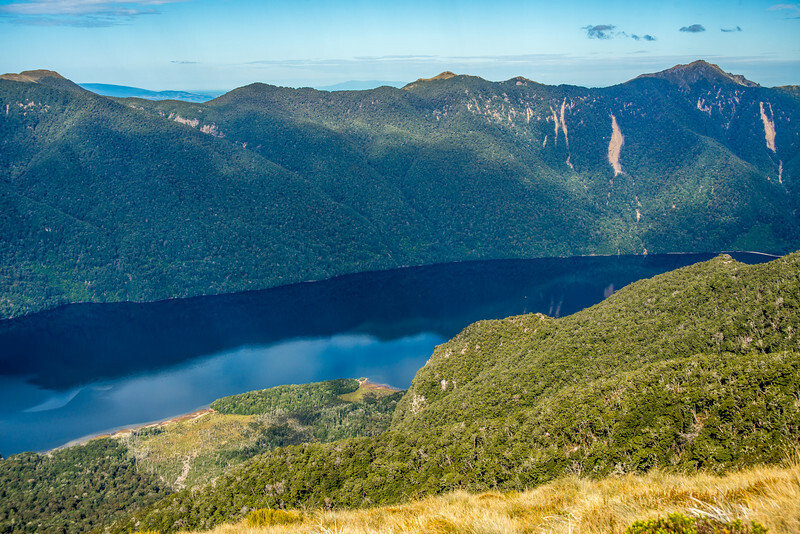 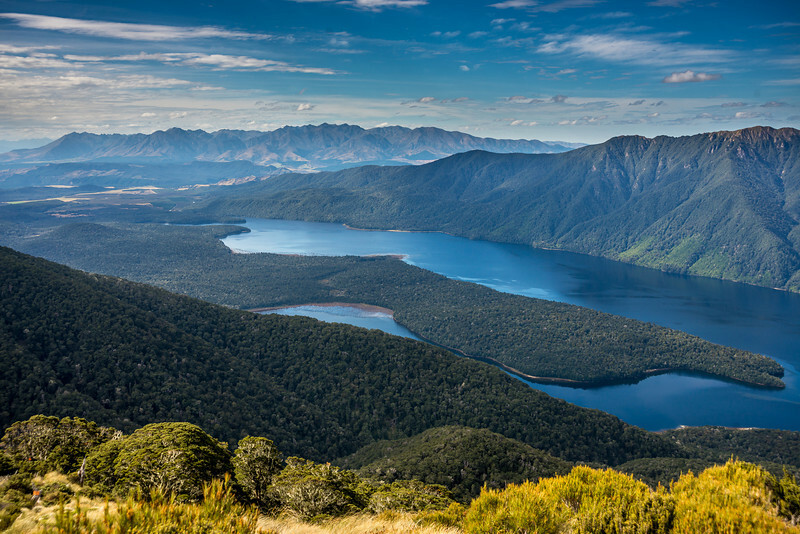 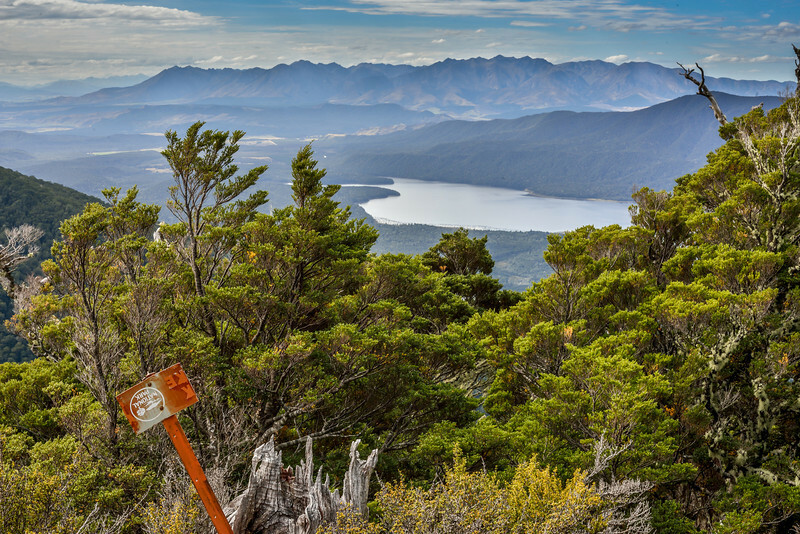 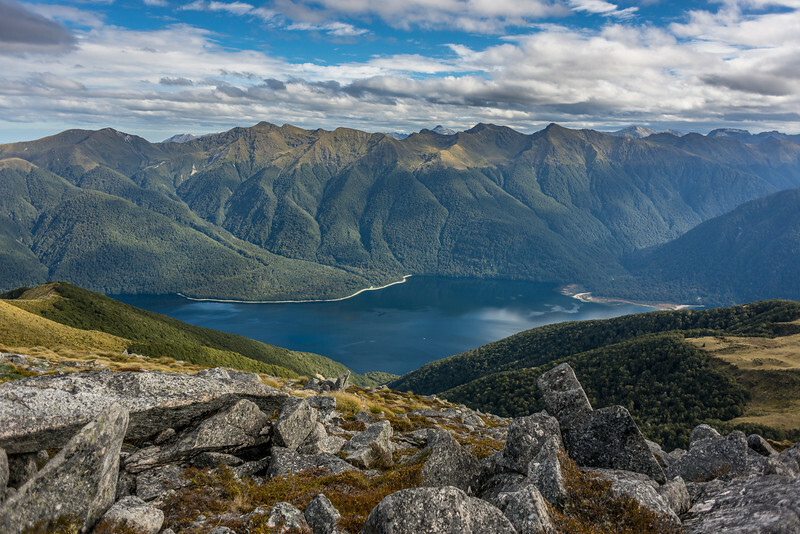 The Takitimu Mountains and Lake Monowai from the tops above Rodger Inlet. 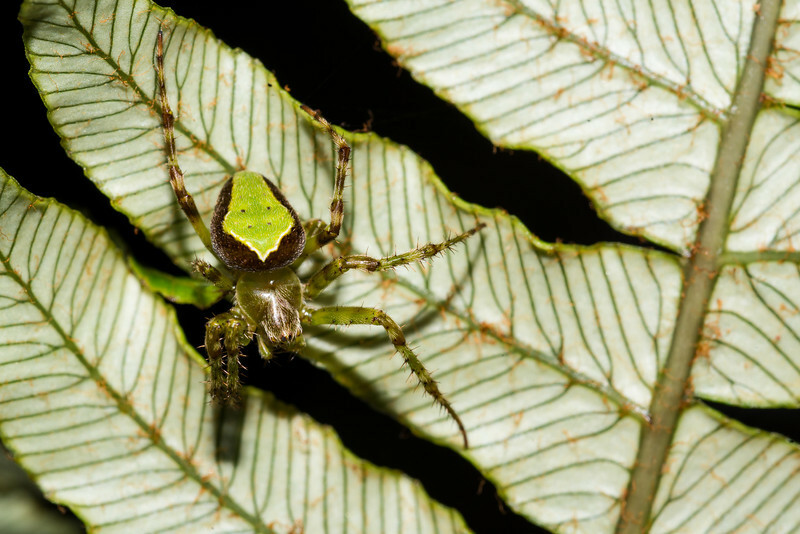 Green orbweb spider (Colaranea viriditas) hiding on the underside of a Blechnum fern. 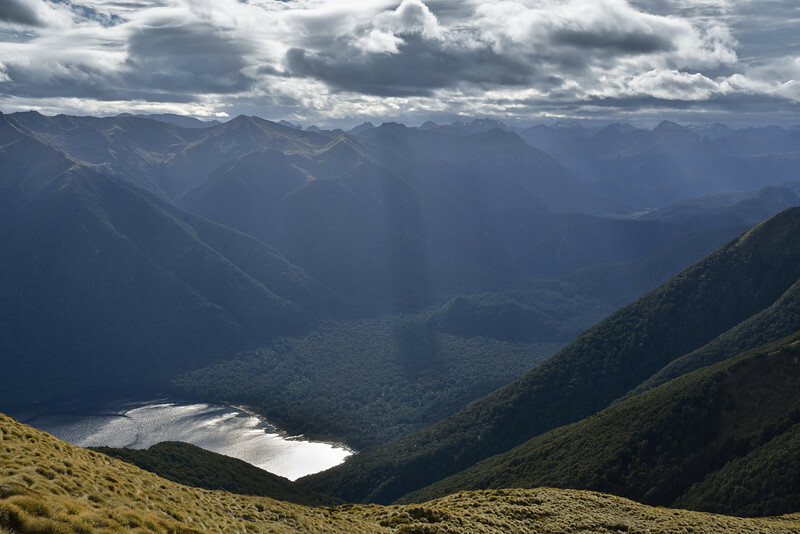 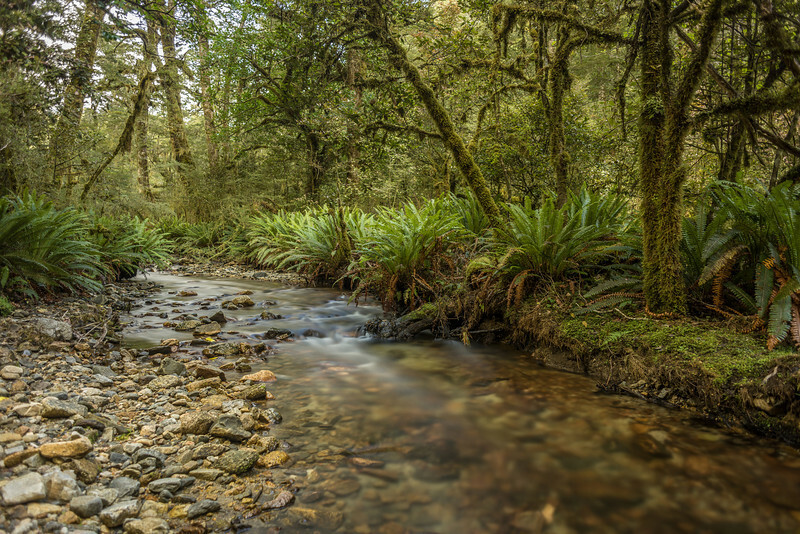 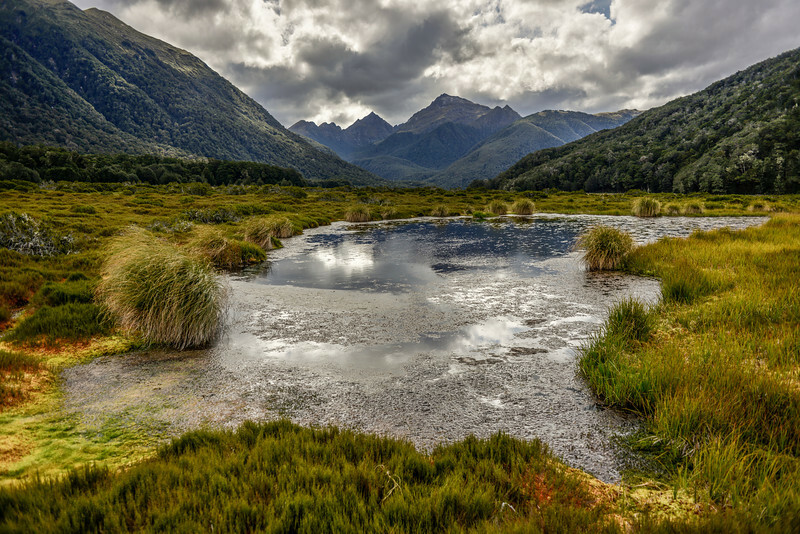 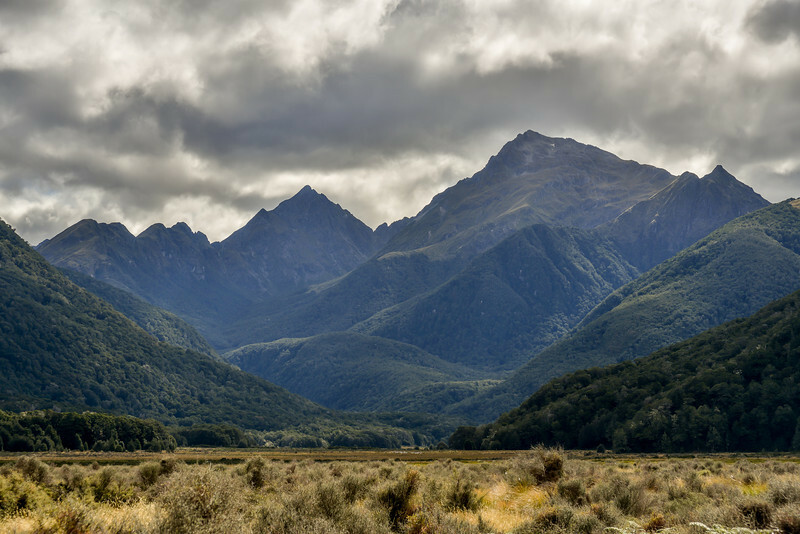 Lake Monowai to Green Lake Track, Fiordland National Park.